We have moved the Heroes Project. Take a look. Hi, Iʼm Graeme Taylor. You might know me from my appearance on The Ellen DeGeneres Show. 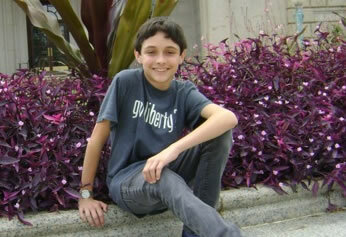 I am a 15-year-old boy who lives with his father, mother and sister in Ann Arbor, Michigan. No one should have to wake up in the morning and go to school worrying about being bullied. I believe that if a childʼs life is being made miserable by another in school, it is up to each student and educator to do whatever it takes to stop the bullying. I happen to be gay, and youʼve probably heard about the suicides of gay or perceived- to-be gay youth who have been bullied. It is a heartbreaking epidemic that could be stopped cold today if kids chose to respect each other regardless of their differences. I invite you to join me in imagining a world that is smarter, safer and kinder for EVERYONE! Thatʼs why I am encouraging you and your friends to ask yourselves this question: How can we help? The answer is found in action. Be a leader and propose to the educators at your school you want to create or improve anti-bullying strategies. There are plenty of resources and ideas waiting for you, but you have to take that first step. We recently had the pleasure of interviewing Caroline Dixon, of Homosassa, Florida. 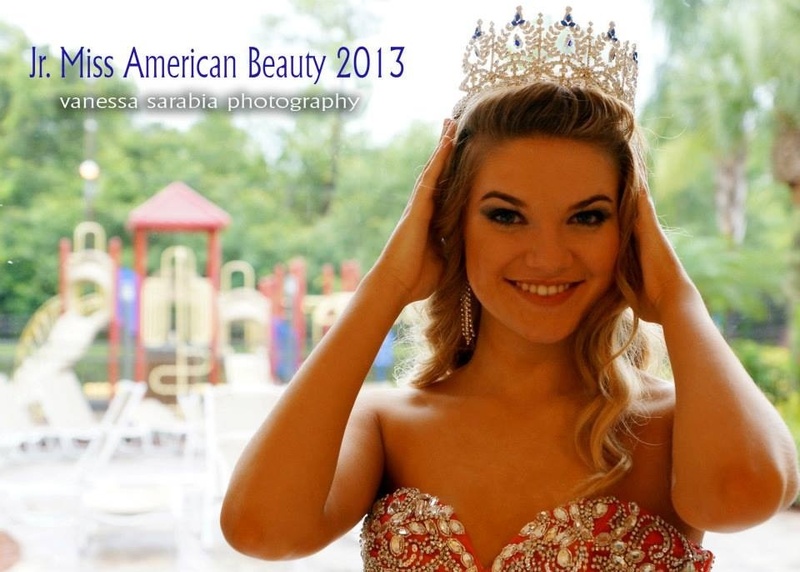 This summer, she was crowned Junior Miss American Beauty 2013! Caroline shared with us about her platform related to cyberbullying. We enjoyed interviewing our latest Hero and learning more about why she chose this topic for her platform. After Caroline learned from her own experience that the best way to deal with a cyber bully was to speak up and to tell someone that you need help and to make sure the bully knows what they are doing is wrong, she began watching social network sites that she was familiar with for signs that others were being bullied online. When she saw a post that she knew was hurtful to someone, she contacted the individual that the post was about and told them, even if she didn’t know them, that she was there if they needed someone to talk to about it. She then contacted the individual making the post and informed them that what they were doing was cyber bullying and that they needed to remove the post immediately or face the consequences for their actions. The bully sometimes tried to defend what they were doing, or tried to attack Caroline, too, but she kept repeating the message that what they were doing was wrong. She has been successful in helping stop several cases of online bullying by just being willing to stand up for others and to let the bullies know what they were doing was wrong. On Saturday, August 31, 2013, Caroline participated in the “Take a Stand” family event in Hernando County, Florida. She interfaced with individuals at a booth where they could have pictures taken with her and she distributed her anti-cyberbulling message. She was also asked to say a speech at the event and was excited about the opportunity to share her message. As Caroline noted in her interview, she sent a letter to Florida Governor Rick Scott asking that he designate a week in Florida as Anti-Cyberbullying Awareness Week. The purpose of the week she is proposing is for schools to bring attention to the strengthening of an anti cyberbullying law that now allows schools to take action on cyberbulling that occurs outside of school hours. Caroline has many other ideas she is working on for her platform this year and she looks forward to opportunities to help others and to spread the message that people need to think before they send! Our newest Sprigeo Hero is from Luxemburg, Wisconsin. Alyssa Klein was one of two students who were selected as winners in a Stop the Bullying Campaign. Be sure to watch our interview to learn more why she participated in the contest and how she came up with her PSA. Stupid, fat, ugly, weird – those harsh words affect us all. No person, no matter the age, size or race deserves to hear those words. Bullying is unnecessary, but change is possible. If we all put forth the effort, each and every one of us can be the difference between a bullied child and a productive member of society. Be that difference! I’m Alyssa Klein, a junior from Luxemburg-Casco High School, and I’m choosing to be that difference. Our CEO and Founder, Joe Bruzzese, recently had an opportunity to catch up with Scott Hannah, 18, and Tyler Gregory, 19 who he interviewed a year ago. It is exciting to hear about the excellent work they continue to do across the nation. Scott and Tyler are The No Bull Guys! They are National Spokespeople for the Great American NO BULL Challenge. This dynamic duo goes to schools and camps spreading their anti-bullying message and talking about the benefits of joining together to make a change in this generation. Tyler and Scott are national 2012 nominees for the Teen Video awards. They are now officially members of the NO BULL Youth Advisory Council for 2013. Their nominated video was a simple one with students holding signs with phrases. you can see it here http://youtu.be/h5NeJaWR5WA the emotional song was specially written by Dale Crockett and Shiela Kuaffman. Like the No Bull Guys on Facebook. This month, we are excited to introduce you to our newest heroes: 4 teens who are making a difference in Howard County, Maryland. Katie, Lizzie, Jenny and Kayla collaborated to create a video about Cyberbullying for a school project. They learned a great deal through the process of making this video, from coordinating schedules to the impact they were able to make at their school and in their community. Be sure to watch both videos below to see what they created and hear their reflections on this experience. Kudos to this group of students for creating positive change in their community! Nine year old Alexander Boston worked diligently to create a short film that will be used as anti-bullying curriculum in several elementary schools in his community. Watch our interview to meet Alexander and learn what message he hopes to bring through his film. We are thrilled to have Alexander join Sprigeo’s stellar group of Heroes. Meet Max, our newest hero who is making a difference in his community and beyond. He is the founder of Me Infinity which is a clothing line with the important message to “Be yourself forever” by not giving in to peer pressure. Wearing a t-shirt with this message validates that you are just as important as the next person and shows strength against bullying. In this interview with Sprigeo, Max explains how he was cyber-bullied and didn’t feel safe at school which led him to start a website and a line of t-shirts with his message of empowerment. Me Infinity t-shirt sales support the Megan Meier Foundation. Max thinks it would be great if Me Infinity “just helps one person” with it’s message. We are confident that many kids are already benefiting from Max’s efforts. Join us in applauding Max and welcoming him as one of Sprigeo’s Heroes! Max – Me Infinity from Sprigeo on Vimeo. In the spirit of true heroism, this group from West Virginia takes on the challenge of bullying and culture with music. Father son duo, Gary and Aidan McDaniel join a group of musicians to create this song. Enjoy!